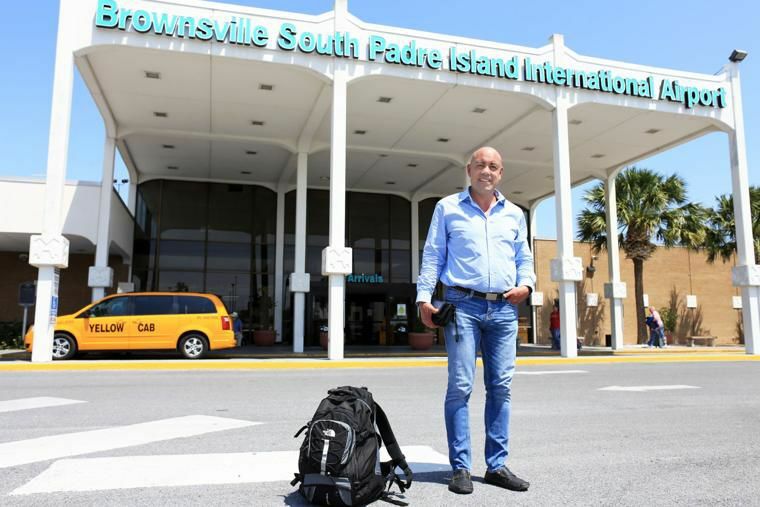 Brownsville native Ed Dramberger leaves from Brownsville South Padre Island International Airport on a three-month tour to promote his first travel book, "The Destination Diaries: How to Travel for Life". If the subject is travel and Ed Dramberger is talking, you’d be wise to listen. That’s because he’s probably traveled more than you or anyone you know or have ever met — unless you’ve met Ed Dramberger, who has traveled to 180 of the world’s 195 countries. He speaks at travel conferences around the world, and just got back from Dubai. “Money Inc.” published Dramberger’s article about family travel in Mexico less than one week ago. The Brownsville native and tourism industry consultant has a book out May 1 that’s filled with his globetrotting experiences, philosophical musings and insights. The title is “Destination Diaries: How to Travel for Life,” and Dramberger is getting the word out by (what else?) traveling. He’s set to begin a three-month book tour of New York, Los Angeles, Chicago and other major cities as soon as he returns from Eastern Europe, where he’s been leading tours of Budapest and Prague. Dramberger, whose professional moniker is “Destination Dr.,” is scheduled to appear on “CBS This Morning, New York,” “Fox & Friends,” “Good Morning Chicago” and similar shows to plug his book, and has a book signing lined up at Barnes and Noble in New York. The tour will include a Texas leg, with stops in Austin, Dallas, Houston and San Antonio, Dramberger said. “I’m literally on the road for three months,” he said. Dramberger’s travel schedule would have most mortals begging for mercy, but he thrives on it. “Destination Diaries” is divided into four sections: adventure, connection, self and spirituality. Each contains brief diaries of places Dramberger has traveled to, the people he’s met and their stories. It’s not a conventional travel book in the sense that it won’t tell you where the best restaurants are, though it will help novice travelers decide where to travel — and where to avoid. Dramberger called it “good read” that allows readers to travel vicariously through him.